436 Exchange Street Geneva, NY. | MLS# R1160490 | Largest Real Estate Sales and Property Management Company in The Finger Lakes and WNY. Tastefully renovated 2 level apartment for rent in the heart of Downtown Geneva. This unit has been carefully remodeled from top to bottom. Enter the main living space through the staircase to the second floor. 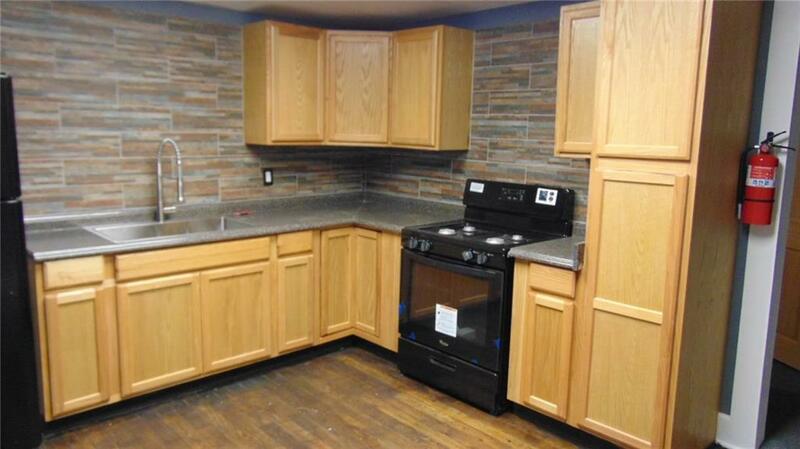 There is a spacious eat-in kitchen with all new appliances. The living room has oversized vinyl windows which provides great exposure to Exchange Street. The bathroom is nicely remodeled and has a stackable washer & dryer unit. The entryway is huge with 2 separate closets. Upstairs there is a large bedroom as well as a large den area. Located within walking distance to all downtown shops & eateries, the lake, HWS, and the hospital. Rent includes Water, Sewer and Trash. Call today for your private tour.